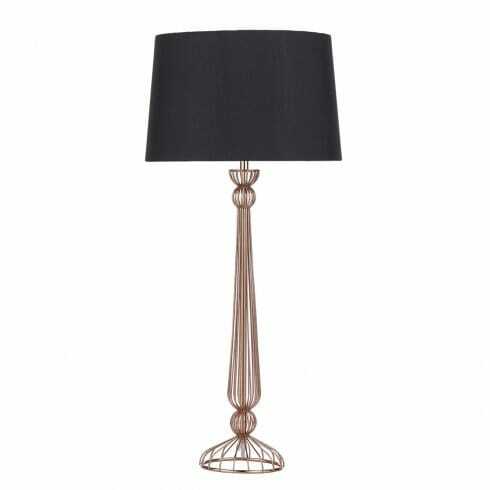 Dar Lighting Eddie single light table lamp features a slim wire work frame base in copper finish holding a black faux silk shade with copper inner. The product code for this Dar table lamp is EDD4264. This classic styled table lamp will add a vintage look and the contrasting black shade creates a striking lighting solution for any modern room within your home. The Eddie table lamp is also available in polished chrome finish with grey cotton shade which can be ordered on our website.